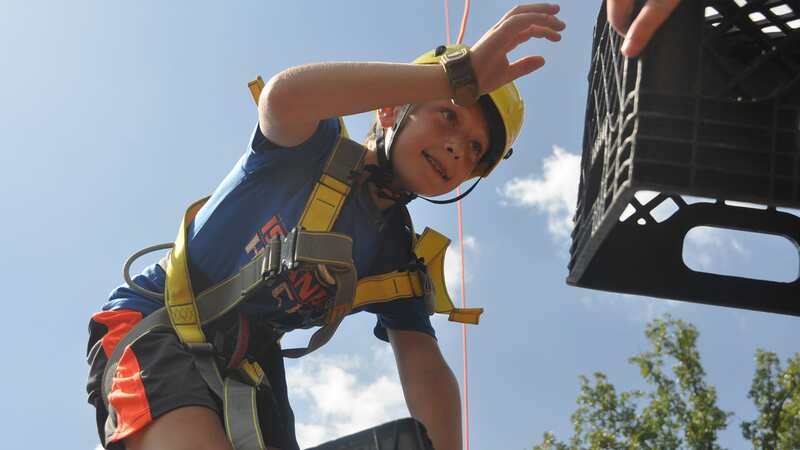 Cub Creek Science Camp | From animals to zip-line! Guaranteed fun! 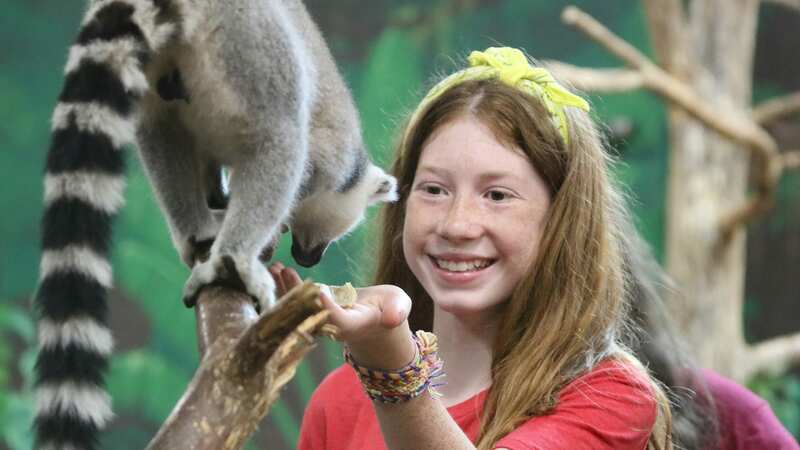 As a summer camp with its own zoo, we have over 100 different species of animals! Campers come to learn about, interact with, and care for our incredible animals. 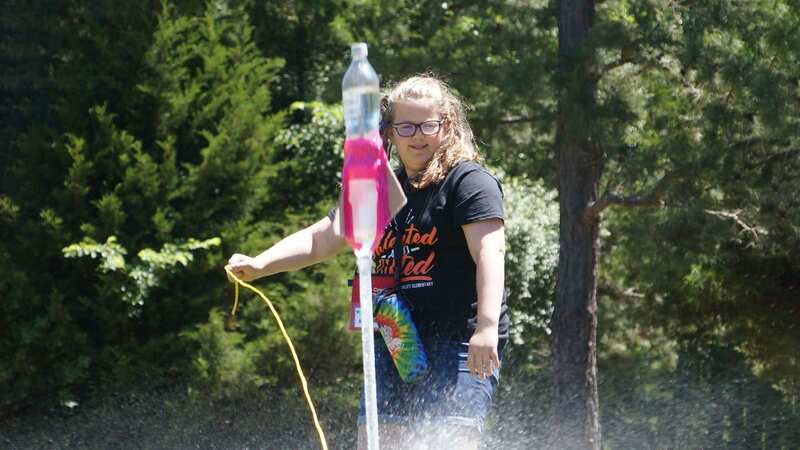 Launch a water rocket sky high, right in the middle of camp! Our chemistry and physics activities offer campers creative & interactive ways that show learning is fun! Zoom down the zipline, build a shelter from the ground up, or shoot a bullseye at the archery range! Our adventure program takes camp to a whole new level! 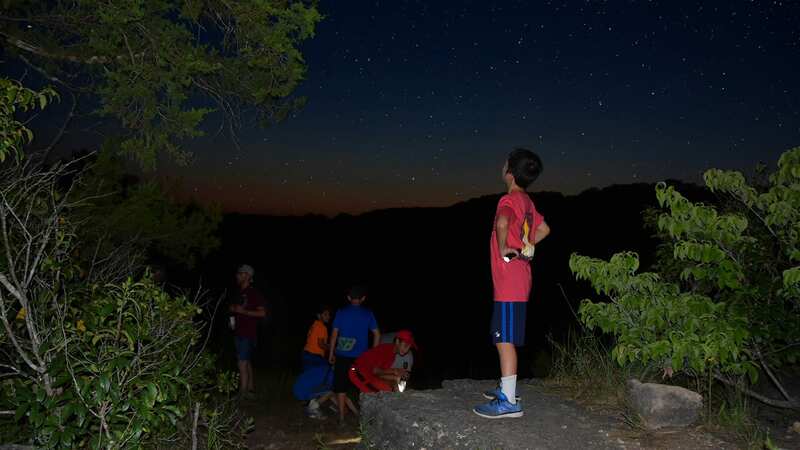 Forest, fields and glades give campers an appreciation for Missouri's diverse ecosystem. Come take a hike with us down blue bird trail! Thinking about being a Veterinarian? 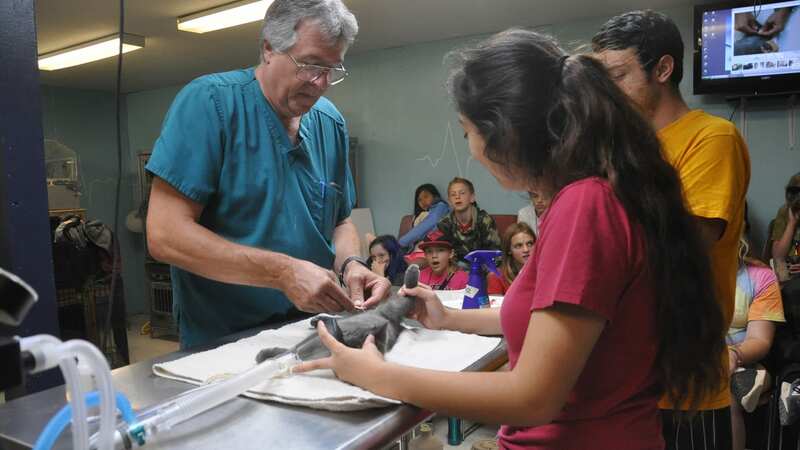 Our Junior Vet Course offers campers firsthand experience with our on-site veterinarian and passionate instructors. Practice giving basics examinations, suturing & injections, and reading x-rays, all right here at camp! For our campers, Cub Creek Science Camp is a second family and home. A place where they are free to be themselves and connect with others with similar passions. We believe that "Summer Camp Changes Lives", but in our case, it's Science Camp that Changes Lives! Many of our campers realize their passion for animals, science, and nature while at Cub Creek and go on to be Veterinarians, Conservationists, and Teachers. Campers realize their full potential by being challenged with concepts in animal science and traditional science subjects; meeting new people and trying new things; and discovering their independence and leadership qualities. 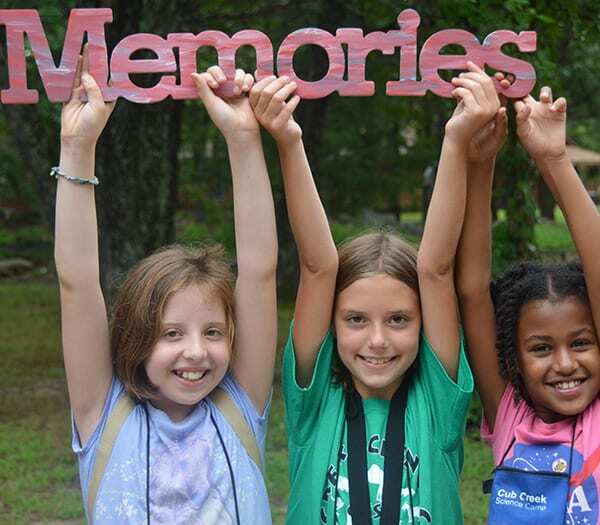 Cub Creek Science Camp is a place to build confidence, friendships and memories that last a lifetime. We grow leaders, problem solvers and peace makers of tomorrow by building knowledge, curiosity and self esteem in our campers today. We focused on creating fun and educational STEM summer programs before STEM was even a recognized term. And on top of it all, a fantastic team, program and facility, with hundreds of animals and activities, including Jr. Vet, Adopt an Animal, Ropes Course, Survival Skills and so much more makes our camp unlike any other. If you are looking for a science camp, an animal camp or a traditional summer camp, you have come to the right place! Why do we love Cub Creek Science Camp? My 10 year old daughter just got back from her first week at Cub Creek. She loved it & plans to go back next year! The ability to learn about, touch, take care of and observe animals really put this camp above & beyond others. The kids learn so much in one week it’s incredible! And it’s not just the animals, it’s the science & craft classes, the adventure course & zipline, the accommodations & whole package that make this camp such a great experience for the kids. It’s clean & well run and just a great place for kids! My son has been going to cub creek for 5 yrs with his best friend, both from Texas. It's amazing!! I wish I could post pics of how the boys have changed and yet they always love going to camp. My daughter came home from camp a different girl!!!! I was astounded at the level of confidence that she exuded as she walked me around the camp when I arrived to pick her up. Camp provided her the opportunity to take some risks in a safe and supportive environment and those experiences have boosted her confidence and helped her realize that she a strong and capable young women. She cannot wait to return and she talks about it all year long. We love this camp! Its my daughter's third year and she has the best time ever! She spends 4 weeks there and it flies by for her. The accommodations are great, the food is really good and the experience for her is worth every penny! She has met wonderful staff and has made a ton of friends from all over the country. Highly recommend it if your child loves animals. This camp is the best experience I have ever had. I look forward to it every year. It personally helped me out of my shell and be able to walk up to people and make friends. The animals can make anyone smile! They have an animal for you! Sweet cuddly, cold blooded and cool, gentle giants, tiny and adorable, this camp has an animal for every kid! Not only that the people there are amazing! The atmosphere is uplifting and free. You sing camp songs, play with animals, study plants, go camping, take the leap of faith! I would recommend for any kid especially if they are shy because at this camp miracles do happen!